Mr. Prine's songs can sound both carefully chiseled and playfully off-the-cuff. There are whimsical moments that might just see where rhymes can lead him - but more often, his lyrics ground themselves in mundane detail on the way to pithy home truths. Why See Holiday Cheer for FUV? 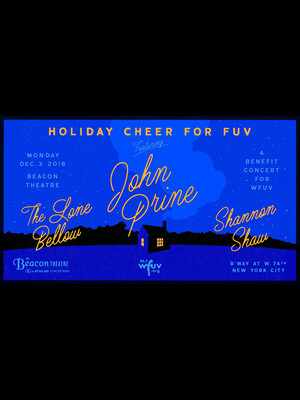 The home of musical discovery at Fordham University, 90.7 WFUV is back with its popular holiday concert, this year featuring Grammy Award-winning Americana singer songwriter John Prine, bluegrass rockers The Lone Bellow and rising garage rock diva Shannon Shaw. As well as being a memorable night filled with country-tinged songs and fire side-esque storytelling, the annual bash raises funds for the radio station, which has been the campus voice since 1947. 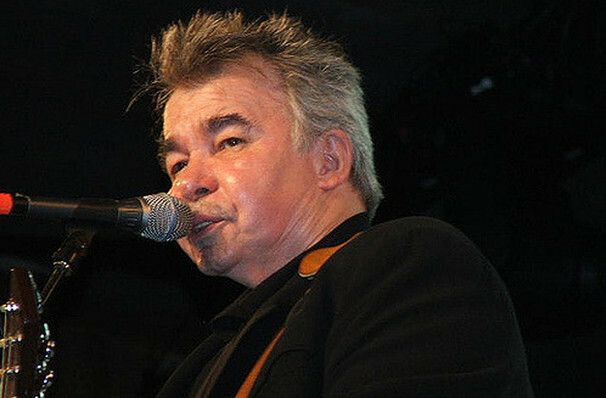 Drawing on the proud traditions of his midwestern roots, John Prine fuses wit, empathy and authenticity with strains of folk rock, country, R&B and rockabilly. He cut his teeth as part of the Chicago folk music scene of the late 60s, catching the ear and making a fan out of Kris Kristofferson, who was instrumental in helping Prine secure a recording contract. Five decades and numerous accolades later and the iconic performer has solidified his status as one of America's greatest living singer songwriters thanks to a storied legaxy and stand out hits Hello In There, Dear Abbey and Grandpa Was A Carpenter. Sound good to you? Share this page on social media and let your friends know about Holiday Cheer for FUV at Beacon Theater. Please note: The term Beacon Theater and/or Holiday Cheer for FUV as well as all associated graphics, logos, and/or other trademarks, tradenames or copyrights are the property of the Beacon Theater and/or Holiday Cheer for FUV and are used herein for factual descriptive purposes only. We are in no way associated with or authorized by the Beacon Theater and/or Holiday Cheer for FUV and neither that entity nor any of its affiliates have licensed or endorsed us to sell tickets, goods and or services in conjunction with their events.